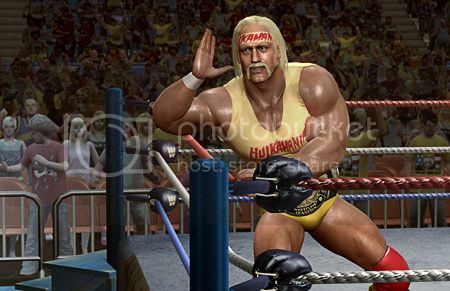 As publishers continue to dabble with new ways of offering ‘added value’ to gamers through digital content, THQ has revealed a new model to accompany the release of WWE Smackdown vs Raw 2011. Those who buy the game will be offered the chance to buy a ‘Fan Axxess’ pass. Doing so will allow them to download all future DLC for the title at no additional cost. Content will include playable characters, alternate costumes, new arenas, a character customiser and an in-game badge to “recognise the game's biggest supporters”. Fan Axxess will cost 800 Microsoft Points, or $9.99 on PSN. “The Fan Axxess program for WWE SmackDown vs Raw 2011 offers consumers a very attractive value proposition to significantly enhance the virtual WWE experience,” THQ’s executive VP of core games Danny Bilson stated. THQ has already announced that the game will ship with a single-use DLC code that is required to access the online mode. Pre-owned buyers will have to pay extra to take the game online. How do you feel about this if other developers/publishers goes this route? Let us know what you think about this DLC deal.